Oracle introduced its Virtual Compute Appliance, an integrated, “wire once” stack for the data center that integrates compute, network, and storage resources in a software-defined fabric. It is designed for rapid deployment of both infrastructure hardware and application software, and runs runs Linux, Oracle Solaris, or Microsoft Windows. Compute Appliance controller orchestration software automatically powers up, installs, and configures the hardware and software environment. 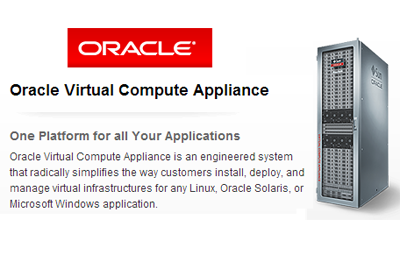 The appliance includes Oracle SDN software for virtualizing network resources. Storage: Oracle Virtual Compute Appliance features a fully integrated, enterprisegrade Oracle ZFS Storage Appliance for centrally storing the management environment as well as providing data storage for VMs. "The Oracle Virtual Compute Appliance is unique in accelerating not only virtual infrastructure deployment, but also in speeding deployment of the complete application stacks through Oracle VM Templates,” said Wim Coekaerts, senior vice president, Linux and Virtualization Engineering, Oracle. 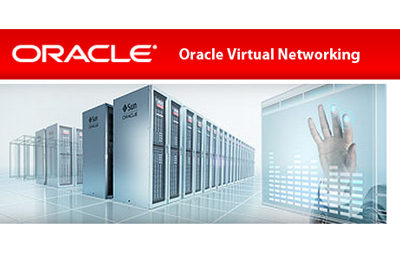 In April 2013, Oracle introduced its Virtual Networking open architecture for simplifying data centers using software-defined networking principles. More specifically, Oracle Virtual Networking is a data center fabric for controlling larger server pools with scalable I/O. By using this architecture and its own SPARC T5 systems, Oracle can scale up to 1,000 servers and 128,000 cores of compute performance. The virtualization capabilities provide the ability to run more VMs per server and get predictable performance for applications with granular quality of service controls. In July 2012, Oracle acquired Xsigo Systems, a start-up in San Jose, California that developed network virtualization technology. The Xsigo Server Fabric aims to do for infrastructure what VMware did for the servers -- namely, to enable one-click network connections from virtual machines to any data center resource – including servers, networks, storage, and other virtual machines. The Xsigo Server Fabric is a rack-based solution that works by virtualizing connections between networks, servers and storage, not by re-configuring switches, switch ports, or VLANs. It supports Ethernet and Fibre Channel connections at up to 40 Gbps. By providing this "one click" tool to connect VMs to networks and storage while using existing Ethernet routers + FC directors, Xsigo calculates that it can reduce the number of I/O cables and cards in a data center by up to 70%, thereby significantly cutting deployment CAPEX and simplifying operations. 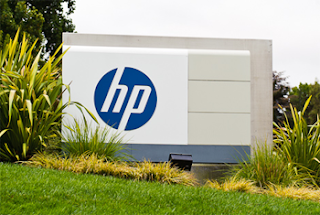 HP is adding new software functionality to its Converged Storage solutions to help customers maximize the return on investment (ROI) of their virtual infrastructure by lowering costs while increasing agility and capacity utilization. HP said its StoreVirtual VSA is the industry’s first scale-out software-defined storage solution to offer data tiering. This feature moves data blocks to high-performance or cost-optimized storage automatically, based on application needs. Specifically, new HP StoreVirtual Virtual Storage Appliance (VSA) software functionality adds supports for automated sub-LUN (logical unit number) storage tiering. It also increases VMware and Microsoft integration to improve efficiency and performance. New licensing options provide deployment flexibility to support current workload requirements and future growth needs. HP also introduced two software plug-ins for HP 3PAR StoreServ Storage, one for use with VMware, and the other for use with SAP software. Amazon Web Services announced a new "Mobile Push" for its Amazon Simple Notification Service that transmits push notifications from backend server applications to mobile apps on Apple, Google and Kindle Fire devices using a simple, unified API. The new feature lets app developers send a message to a particular device (direct addressing), or send a message to every device that is subscribed to a particular SNS topic (broadcast). The AWS Free Tier means all AWS customers can send one million push notifications per month across iOS, Android and Kindle platforms at no charge. After that, app developers must pay $0.50 for every million publishes and $0.50 per million push deliveries. StarBED3, the advanced IP network simulator run by Japan's National Institute of Information and Communications Technology (NICT), has deployed Juniper Networks' QFX3000-M QFabric System to support research and development of next-generation networks, security and services. Located at the Hokuriku StarBED Technology Center, StarBED3 is NICT's third-generation IP network test bed, aimed at emulating large and complex network environments. It comprises more than 1,100 physical servers, together with network switch clusters for controlling experimental nodes and supporting interactive communication over a backbone operating at speeds of up to 200 Gbps. Specifically, NICT is using a QFabric System in a single-layer, distributed switch architecture featuring top-of-rack access nodes and a centralized control node for each logical device, significantly reducing operating costs. The QFabric System currently links 224 experimental servers at StarBED3 at high speed and with less than three microseconds of latency, all within a compact space and with low power consumption. Juniper said a key issue in constructing the StarBED3 network infrastructure was how to connect the largest possible number of servers at high speed with low latency while working within physical space and power consumption limitations. Another challenge was the traditional approach of concentrating core switches in a single location, creating high cable densities that significantly compromise operational maintenance procedures. 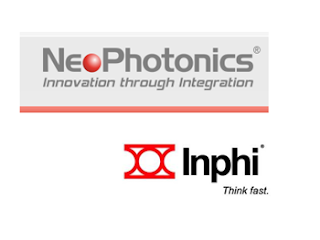 NICT was able to overcome these challenges with QFabric technology. "We have to provide a highly flexible PC server cluster network suitable for a wide range of R&D projects on ICT technology. But often, when you try to design a flexible configuration consisting of many PC server groups linked together by small network devices, you run into problems with speed limitations and latency as well as with operational and administration standardization. QFabric addresses these issues and provides the ideal configuration for next-generation data centers. We see QFabric as a powerful tool for taking our large-scale emulation environment into the next generation," Shinsuke Miwa, director, NICT Hokuriku StarBED Technology Center. The Federal Communications Commission updated rules governing unlicensed communication equipment in the 57-64 GHz band, saying the changes support using the spectrum for relatively low-cost, high-capacity short-range backhaul alternative to connect wireless broadband networks and for other wireless applications. The FCC said the spectrum could provide wireless broadband network connectivity over distances up to a mile at data rates of 7 Gbps, potentially relieving the need and expense of wiring facilities or using existing facilities with less capability. At the same time the rules for equipment located indoors will remain unchanged, providing regulatory certainty for an emerging family of products that can provide data rates of 7 Gbps for applications such as wireless docking of digital devices and distribution of uncompressed video to TV receivers and video displays. In the 1990s, the Commission adopted rules for unlicensed operations over a 7-gigahertz wide bandwidth, in the 57-64 GHz band. Because of the wide bandwidth, this spectrum is very desirable for high-capacity uses, both in point-to-point fixed operations outdoors (extending the reach of fiber optic networks by providing broadband access to adjacent structures in commercial facilities), and as networking equipment indoors (enabling users to send data between entertainment equipment such as high-definition televisions and video players within the same room, eliminating the need for complex wiring). Under the new rules, new limits are set for the power permitted for outdoor operations between fixed points using highly directional antennas. This maximum power permitted is tied to the precision of the antenna beam which determines its potential for causing interference to other users, including to indoor low-power networks. This rule change would permit outdoor devices to deliver high-capacity communication links over longer distances, enhancing the utility of the unlicensed 57-64 GHz band as a vehicle for broadband. It will also facilitate the use of this unlicensed spectrum as a backhaul alternative in densely-populated areas where 4G and other wireless services are experiencing an ever-increasing need for additional spectrum. The Commission also took additional actions to reduce the regulatory burden on these operations by eliminating a station identification rule that has become unnecessary, and by modifying the measurement units to promote uniformity and consistency. CloudPhysics, a start-up based in Mountain View, California, announced $10 million in Series B funding and released its SaaS offering, which automatically uncovers hidden operational hazards before problems emerge as well as identifies radical efficiency improvements in storage, compute and networking with VMware workloads. The CloudPhysics tools give IT more power to understand, troubleshoot and optimize their virtualized systems. CloudPhysics is opening a Card Store, essentially an app store built on an industry-wide dataset and community. The CloudPhysics user interface is composed of Cards, each of which is a highly focused app to solve a particular IT operations problem. Cards are built by CloudPhysics and members of its user community using the Card Builder feature of the cloud-based service and range across all IT operations use cases from planning, procurement, reporting, analysis, troubleshooting and capacity management. "Managing virtualized IT means managing an ever-changing, dynamic set of conditions," said John Blumenthal, CEO and Co-Founder of CloudPhysics. "Today's static solutions can't keep pace and a new approach is called for -- leveraging collective intelligence drawn from industrywide operations big data and delivering solutions rapidly via SaaS as users encounter new operational problems. CloudPhysics, which was founded in 2011 by former VMware executives John Blumenthal and Irfan Ahmad, provides virtualization administrators and architects detailed real-time analytics about their physical infrastructure and specific application workloads. Telekom Austria Group and KPN International have formed a wholesale partnership that encompasses the interconnection of Ethernet, IP VPN, Wavelength and IPT services across Europe. The combined network footprint doubles the reach of the carriers individually, reaching 73 Points of Presence (PoP) within 35 countries and making it one of Europe's largest fiber networks. Notable, the IP backbone connects the four most important Internet Exchange Points in Europe: Frankfurt, London, Amsterdam and Paris. The cooperation is already in operation. 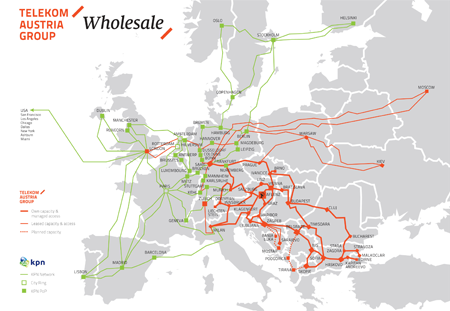 Stefan Amon, Director of Wholesale at Telekom Austria Group stated "I am really proud to announce this pan-European wholesale partnership with our two regionally complementary infrastructures. 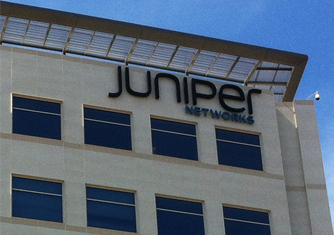 I see an excellent operational fit as both backbone network providers focus on top quality. This infrastructure throughout 35 countries will be one of the largest in Europe, offering technological as well as local know-how and experience from Telekom Austria Group in CEE and from KPN International in Western Europe."